Pitney Bowes is proud to announce the launch of the Spectrum Technology Platform Webinar Series. Join our product management team to learn about new functionality that can help you optimize your technology investments and maximize the benefit for the business. 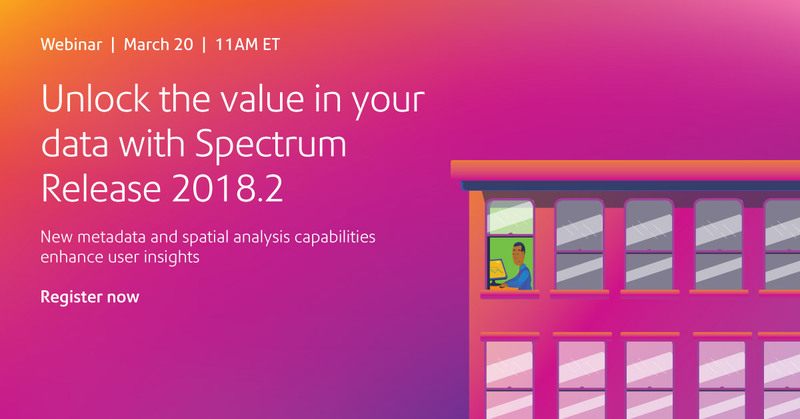 In this inaugural webinar, we will cover some of the new capabilities included in the 2018.2 release – enhanced Metadata Insights to help you improve data governance, and updated Spectrum Spatial capabilities that give you broader access to the data you need to make decisions.